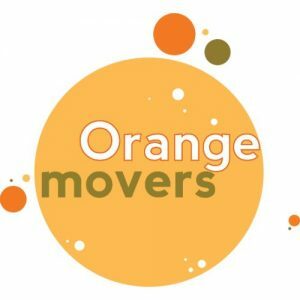 I had a long distance move and chose Orange Movers, and they did awesome. Definitely a 5 star company. I highly recommend this company. They did an amazing job with packing. I elected to have them fully pack my wives kitchen, our bedroom and all of the china in our dining room. They were very particular and did a fantastic job. Nothing arrived broken or had any damages . Someone referred me to Orange Movers and I'm so happy they did. I have used them 3 times in the past couple years. They are affordable, and easy going guys. 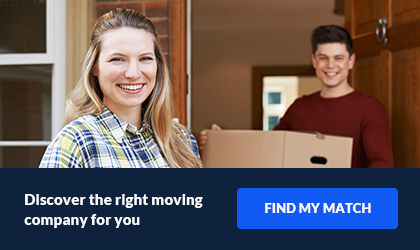 I recommend this company to anyone moving out of the state. Orange movers were able to accommodate all my additional requests and I’m very grateful for that. I will be recommending them to everyone from now on. They offered to pack my TV and dismantle my shelves for free, which was not the case with another moving company I was moving with 2 years ago. I couldn’t have been more pleased with the outcome of my move. I know how stressful moving can be, so at this point I consider myself fortunate to have hired these hard working guys. They arrived on time and worked efficiently for several hours. They deserved a really good tip! I went with Orange Movers because of the first conversation that I had with them. They were able to meet me on the time frame that I needed for my company move. I was upfront with them that if they could not do what I was asking, that I would have to go with a different company. Without even taking a breath, the guy on the phone said he could. They definitely proved to me that I chose the right company. The one complaint that I do have to make is that they scratched my floor during the move on the way out. I did have to file a claim for this, but I was able to fix it myself. I was not looking for more work, but everything else went really well. I would use them again. Orange Movers was a pleasure to work with from the very first call to the time they dropped my items off. Each of their representatives were so professional and helpful. They all had multiple years of experience and it really showed. I received a quote from them and they went into great detail as to what the rest of the move would look like. The day of the move, a crew of 4 strong gentleman showed up and packed and loaded all of my items so neatly into their truck. They explained all of the paperwork before I was required to sign. I received multiple updates on my delivery and they showed up as expected. I am very happy to report I did not have a single item show up damaged and nothing was missing. I would recommend using them to anyone looking to move. 5 stars all across the board for these guys! We used Orange Movers for our recent move back to our hometown after spending a few short years in Florida. We discovered this company online and were amazing by their reviews. We called and spoke to someone who was professional and really took the time to explain the entire quote, the breakdown of the charges, as well as what we should expect throughout the entire move. They had multiple departments we spoke with before our move to ensure we always had constant communication. We were also able to contact our estimator again to change our inventory a few times to make sure we planned accordingly for our budget. The driver and the movers showed up slightly after they originally told us but they did give us a call about an hour before to inform us they were running behind due to their last customer's move getting larger than they expected. They worked quickly to ensure they made up for the time and they were professional from start to finish. We were called a few days prior to the movers arriving at our delivery location and they arrived as expected. We had a few items that did not arrive during our first delivery which were later found and shipped to us. Overall we would give them 4 out of 5 stars as they were great at keeping us informed and everyone we spoke to was professional and polite. They worked very hard to make sure they found our missing items and shipped them out right away. Stop looking for movers and book Orange Movers. These guys are machines. We moved on a Saturday that was down-pouring, but they were smart and took breaks during the heavier times and then had a sort of conveyor belt / hand-off system that moved pieces quickly during the just the sprinkling of rain. No water damage to anything. They were super courteous, nothing was damaged what-so-ever, and their price was the best across a few places we grabbed estimates from. They wrapped furniture & mirrors with blankets and tape to make sure there was no dings along the way. They were also nice enough to load up our plants at the end so there was less chance of them getting crushed. Highly recommend! Orange Movers has years of expert services and tens of thousands of happy customers. We have received hundreds of reviews that rave about our nurturing service and expert solutions. We apply our hands-on approach to every job we take on and make sure to provide very personable service. At Orange, we will provide the same exact service to you. 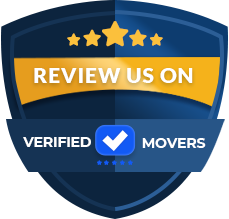 What makes us one of the leading moving companies in Florida is that we take the time to get to know you and your needs. Our staff is extremely dedicated and will give you all the time and attention you need and deserve. We have all the latest moving equipment and knowledge to safely and swiftly move almost anything. We are registered with the Federal Motor Carrier Safety Administration as well as the Florida Department of Transportation and are fully insured. 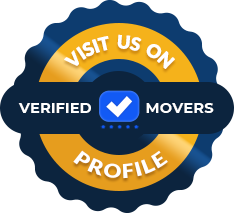 If you are looking for a professional mover that will guide you, you have come to the right place! We are one of the leading companies in the South Florida area. All of our employees have gone through training to be able to handle any situation. They have the greatest knowledge and skill set possible. We do long distance, interstate and residential moves. Here at Orange Movers, we also provide services for commercial relocation. If you are moving your business and do not want to miss a beat, we can absolutely help! Aside from the moving aspect, we also provide storage. Your belongings will be safe and secure in our facilities that have A/C. Do you have specific items that you are nervous about moving? No need to worry. We specialize in moving items such as family heirlooms, pianos and antiques. We will keep them safe so you do not have to worry.